We are refueling in Crescent City. About 300 miles to go. In which I expose everyone to their personal trigger fluids. Ryan is fond of telling people about emergency responders’ “Trigger Fluids”. He has a firefighter friend whose trigger fluid is feces. When he encounters someone who has shat themselves, he has to excuse himself and leave the work to people who have different trigger fluids. Last Thursday, Caroline made a delicious dinner that involved baked mac & cheese and bacon. 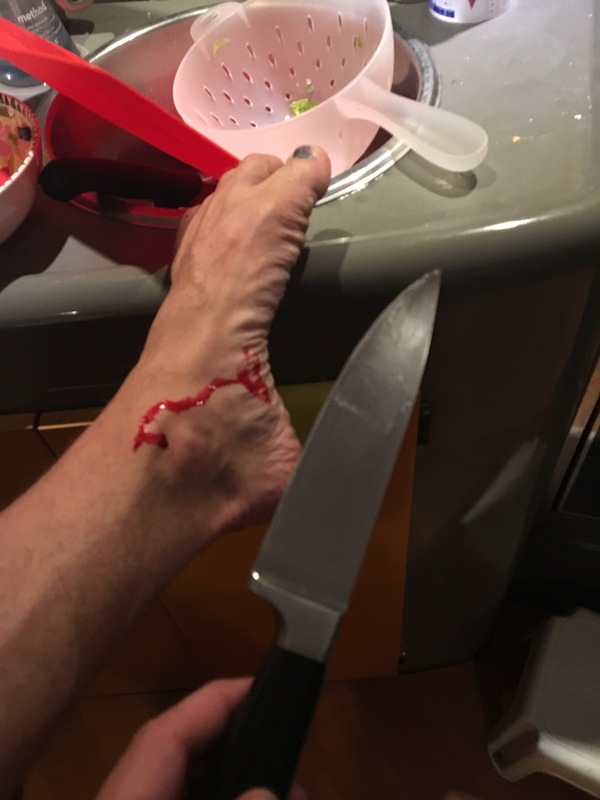 Afterward, I took it upon myself to do the dishes and dropped a chef’s knife on my ankle causing a trickle of blood to run into my shoe. It was the knife that was cutting the bacon so I was a little freaked out by that. Turns out Caroline’s trigger fluid is blood. If the knife would have landed just 1/16″ or 1/8″ to the right, it would have punctured a large vein so we at least have that. 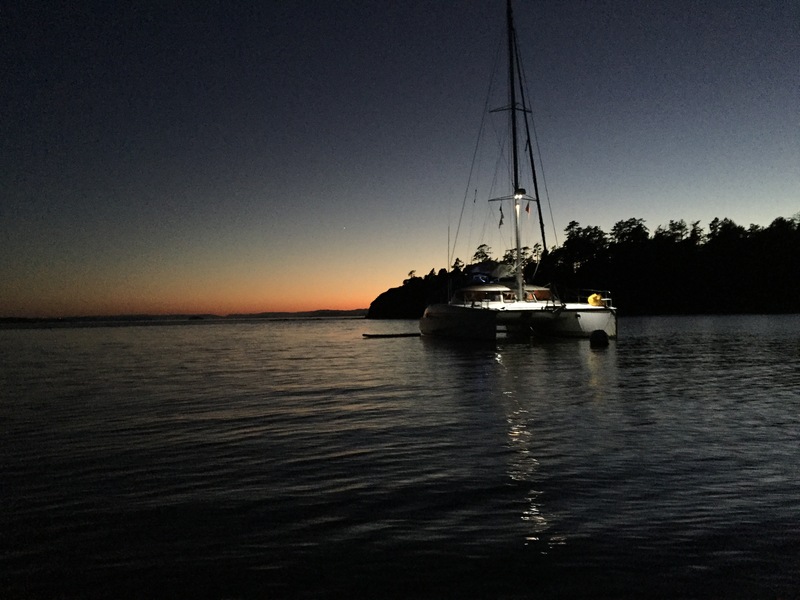 During the passage through the Strait Juan de Fuca I discovered something about myself. I get horribly seasick. I spent two days alternately barfing or sleeping. Ryan’s trigger fluid is vomit. I take over at 3a. I’m going down for a nap now. Captain takes over at 6a. Ben is sleeping HARD. He doesn’t get a watch until he feels better. After we turn left (South) we should stop bashing through these waves and the ride should smooth out. Ben should be less sick. 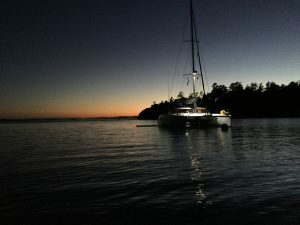 Caroline here… We are 20 miles from Neah Bay and 10 hours in. Ryan and Ben are both ill. Rover is secretly plotting his revenge. I am roasting a chicken. It is a little foggy. Ryan here: staying close to the shore in the straight results in much calmer seas. Ben has lost 3 breakfasts and might hate me. The dog is completely done with this bullsh*t.
Caroline is unfazed and SLEEPING!! I’m Ben, longtime friend and now crewmember for the Coho Ho Ho Seattle to San Francisco sailing rally. I’ll be posting stuff here too. Maybe.